Tax justice requires fair taxation of profits as between companies and non-incorporated business, and between national and international business. These principles are too often undermined by business lobbying for tax breaks, and by exploitation by multinational enterprises (MNEs) of the opportunities for international tax avoidance resulting from weak coordination between states. Governments have often been ambivalent in their policies, to the point of hypocrisy. While declaring its support for international efforts at coordination, the UK government has introduced incentives supposed to make the UK ‘competitive’ by attracting investment by MNEs. These are short-term and beggar-thy-neighbour measures, since such tax competition encourages other countries to follow suit, resulting in a race to the bottom which damages all. Tax breaks for MNEs disadvantage local companies and so fail to encourage growth and new employment. These gave the UK tax system some features of a tax haven: the low tax rate aiming to match Ireland’s 12.5% rate, the foreign profits exemption emulating countries such as Luxembourg and Switzerland, and the patent box copying similar schemes in Belgium and other countries. Instead of taking a lead in trying to end such tax breaks, the UK joined the countries facilitating tax dodging. On the other hand, the government gave vocal support to initiatives to reform international tax rules, especially the project on base erosion and profit shifting (BEPS), begun in 2012 by the Organisation for Economic Cooperation and Development (OECD), and endorsed by the G8 and G20 world leaders in 2013. However, the Treasury paper issued in 2014 outlining the negotiation priorities made it clear that these included preserving the UK’s ‘competitive’ tax system. ​As a result, the UK officials acted as a brake on the negotiations, limiting many of the outcomes. They resisted in particular moves to stop profit shifting out of source countries by arguing for minimal changes to the rules defining taxable presence (a permanent establishment - PE), and for weak recommendations on taxing foreign profits of subsidiaries of UK MNEs (controlled foreign corporations, or CFCs). They also strongly defended the patent box, so that only limited restrictions on such measures were agreed. Although the UK in June 2017 signed the multilateral convention to implement the treaty- related aspects of the BEPS project outcomes, it made many reservations, to exclude changes enabling taxation of companies at source, where activities actually take place. It is clear that, in practice, the UK’s support for the BEPS project was only half-hearted, and its position on international tax reform hypocritical. Although the main outputs from the BEPS process were delivered in October 2015, they did not resolve the central challenge in the mandate from the G20, to ensure that multinationals are taxed ‘where economic activities occur and value is created’. Indeed, the methods for the allocation of profits are still under discussion. Further, the work on Action 1 on tax consequences of the digital economy was also incomplete: an interim report is being prepared for the G20 in 2018, with the final report due in 2020. This slow progress is due in no small part to the UK’s failure to take a strong lead on a new multilateral approach to allocation of MNE profits. Yet it is five years since the Public Accounts Committee (PAC) hearings in November 2012 drew attention to the ways in which multinationals with extensive activities in the UK, such as Amazon, Google, Facebook and Starbucks, pay very little or no tax. This public pressure led the government to introduce a Diverted Profits Tax, which took effect in April 2015. This unilateral measure was resented by participants in the BEPS project negotiations, and indicated that the UK did not expect or perhaps even support multilateral solutions. The Treasury recently estimated that the DPT raised £31m in 2015/16 and £281m in 2016/17. This came from relatively few firms: HMRC said it was targeting 100 large MNEs, and it was reported in May 2017 that Diageo alone would pay £107m, although under protest. Nevertheless, these are relatively low sums in relation to the enormous revenues generated by many foreign MNEs that have extensive activities in the UK. Indeed, a further report from the PAC in 2016 revealed that a six-year investigation by HMRC into Google had resulted in the payment of only £130m in extra tax for the period between 2005 and 2015, from a total corporation tax charge of £196.4m over those ten years. Yet not only does Google generate 10% of its global revenues in the UK, it also has some 3, 000 employees apparently dealing with marketing, and a further 1,000 engineers. Shortly after the revelation of the settlement with HMRC, Google announced that it would expand its UK headquarters and employment. As the Economist commented: ‘The bill presented to the company looks from the outside like a sweetheart deal, but it is impossible to be sure because you cannot know how it was calculated’. Yet it is illusory to think that tax breaks to MNEs create a net increase in jobs. Favouring these gigantic monopolies has helped turn the UK into a low-wage, low-productivity economy, despite our world-leading researchers and innovative entrepreneurs. Companies such as Apple, Google and Amazon have become bloated from their excess profits, much of which results from tax avoidance. This allows them to expand by either buying up smaller companies and start-ups, or driving them out. They are often not the sources of innovation but its appropriators, as pointed out by economists such as William Lazonick and Paul Krugman. Google itself acquired the pioneering artificial intelligence company DeepMind for £400m in 2014, and these technicians are an important part of its expansion. Yet unless HMRC changes its approach, both Google’s software business and its marketing subsidiary in the UK will be taxed on a cost-plus basis, as if they were sub- contractors, overlooking their significant contributions to Google’s worldwide profits. HMRC recently calculated the cost to the taxpayer of the low 10% rate due to the patent box as £651.9m in 2014-5. This will rise to close to £1bn a year if the measure is not withdrawn, as companies could claim only 70% of the relief in that year. This is on top of the tax credit for research and development (R&D) that already generously subsidises innovation at a cost of £2.9bn in 2015-16. Phasing out the patent box would save over £900m a year for taxpayers. The UK should reverse the cuts in the corporate tax rate and move towards a rate of 25%, on which other major countries are converging. As outlined above, the UK has failed to provide genuine support for initiatives such as the BEPS project, and in many ways it has undermined them. This is a short-sighted policy, which has increased conflicts with other countries, and results in undermining corporate taxation everywhere. Unilateral measures such as the DPT are only palliatives; the UK should take a lead in global reform efforts. 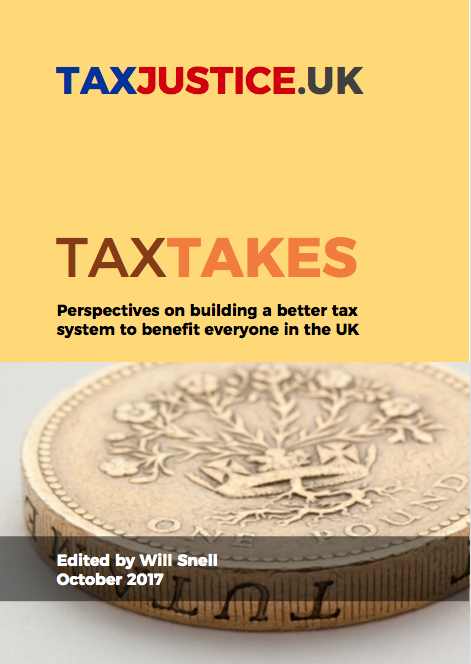 Further, the UK should support a shift of international tax rules away from the separate entity principle, which treats the parts of a MNE according to the legal fiction that they operate independently from each other. This is the fundamental flaw, which encourages MNEs to adopt complex structures involving often hundreds of affiliates, many in tax havens. The solution is to move towards international tax rules that treat MNEs in accordance with the economic reality that they operate as unitary firms with centralised control and management.